Check out our new cheese alternative- Aged Artisan Vegan Cheese! 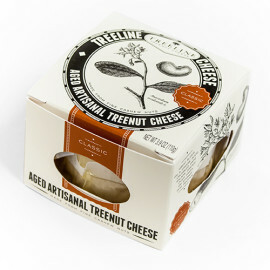 This vegan cheese from Treeline is a non-dairy cheese made from fine cultured and aged cashew nuts with a hint of mesquite smoke. It is lactose-free, probiotic, and non-GMO, Gluten-Free with zero cholesterol. 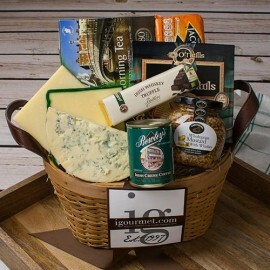 The classic Irish gift basket- it combines Irish fare with three of our Irish farmhouse cheeses. 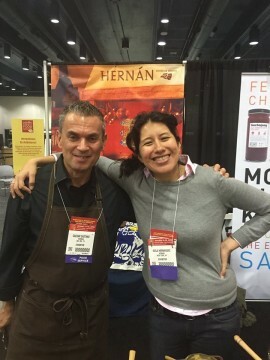 We loved seeing Isela from Hernan, the owner of Artisan Mexican Line. We are excited to soon offer their new Mole!